As a Christian, it is necessary to find out all about different church practices to help you make the most of every church experience. Learning more about these practices will help you find ones that are truly applicable to the entire process of making your faith deeper, and isolate the ones that do not correspond to what God wants for you. 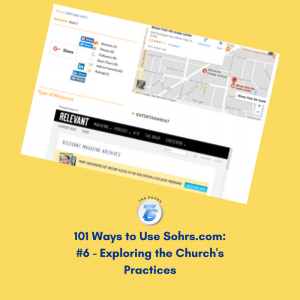 Deepen your knowledge on the subject by using Sohrs.com as a resource.